Now that your kid is a teenager, you are faced with the dreaded task of shopping for teen toys. When your kid was younger, shopping for Christmas and birthday presents was easy! In fact, you had to limit what you bought. But as your kid has grown, you've discovered that the pickings may be a little more slim. Do teens really want any toys? Sure they do. You just need to realize that their toys are quite different from the toys of their childhood. Keep reading for some great teen toys ideas. Yep, you guessed it. Electronics are the way to go when it comes to buying teen toys. We live in a high-tech world, and boy, do our teens know it! More than likely the toys they want, you may not have even heard of. That's ok. We're here to help. Keep reading for some great tech toy ideas. iPods - If your teen doesn't already one of these little, musical gadgets, this toy will be sure to please him or her! There are plenty of accessories that provide lots of other ideas for gifts, too. The 60GB iPod holds 15,000 songs and is priced around $400. However, if that doesn't fit into your budget, you might want to purchase an iPod Shuffle that holds 240 songs for $129. These are just some of your options. Playstation Portable - This makes gaming portable and fun. Although the game graphics are great, a PSP can do so much more. Your kid can also play movies and download music to his PSP. Great gift for around $249! Playstation 2 - Starting at around $149, this is still a great gaming system with lots of games available. Your teen can watch dvds on it, too. Gameboy Micro - Don't want to spend the big bucks on a PSP, then how about a Gameboy Micro? It's also portable and doesn't have all the bells and whistles like the PSP, but it only costs around $90. Xbox 360 and Xbox - If you haven't heard about the Xbox 360 yet, you will. This high tech video system has the best graphics around! You'll shell out around $300 for the core system, or around $400 for the Xbox 360 that includes a hard drive. With either system, you can play awesome games, watch dvds, or listen to cds. If you aren't ready to spend that kind of money, however, don't overlook the Xbox, which sells for about $179. Video Games - Don't forget to purchase some great games for your teen's system! Digital Cameras - Even if your teen isn't a photography buff, she'll still enjoy taking her own pictures with her very own digital camera. Car Speakers - Most teens want to upgrade their car's stereo system. New speakers make great gifts, but they can be expensive! GPS (Global Positioning System - Teens love this new high-tech form of scavenger hunting, and it's becoming a popular craze all over the country. For more info and to find geocaches near you, check out Geocaching.com. 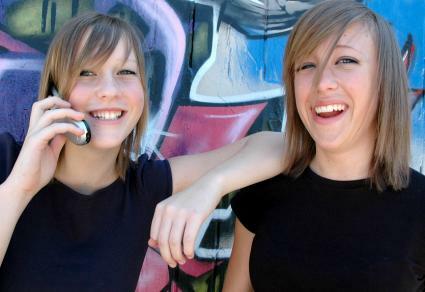 Cell Phones - Consider adding your teen to a family plan or upgrading her phone. If your teen isn't old enough for his own car yet, he still may ask for some wheels of his own. These can include such popular teen toys as dirtbikes, go-carts, and four-wheelers. Although they are all great fun, they can also be dangerous and even deadly. Visit ATV Safety and the National Safety Council for more information on atv safety.